Amazing unique rum. One of my absolute favorites. Interesting mingling of wood, brown sugar, funk, and a finish that goes on forever. Christmas in a glass Superbly drinkable, like a gingerbread cookie in a glass. One of the best spiced rums I have had. You don't even have to drink it, just smell it. 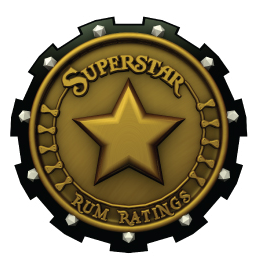 Best Cuban rum I have had yet Not very much sweetness, with some nice intense peppery heat. Some deep notes of tobacco, wood and leather. Robust and well balanced. Outstanding complex light rum. This is priced like an aged rum and has the complexity of one. Funky taste due to the Batavia arrack component. Great mixer or sipper. Remarkably good flavored rum Forget Malibu, Cruzan and the rest - until you've had this one you haven't had coconut rum. Outstanding white rum Along with El dorado 3 yr, one of the best I have tried for mixing. Not quite as complex or interesting as Banks 5 Island but much cheaper. 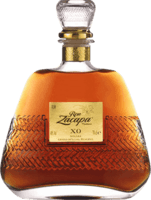 Pleasant sipping rum But seems to have a doctored taste, perhaps a little too sweet and vanilla but not unpleasantly so. Poor man's Appleton If you want a good example of the Jamaican style, this is a good way to go at about half the price (in most areas) of the 12 year. One of the better white rums I've had More complexity than most white rums due to the blending of some aged and Jamaican rums. Nicely balanced spiced rum. Somewhat subtly spiced, but much better balanced and more drinkable than most of the popular spiced rums. Decent well-balanced aged rum Just a good solid rum - nothing unpleasant about it. Not too sweet, some nice tobacco and leather notes. Pretty intense coffee rum. Oddly enough their Vanilla rum might have more coffee taste than this one. Another winner from Brinley's You can't go wrong with anything from this brand. Possibly more coffee taste in this rum than in their coffee rum. Maybe a bit too long in the barrel but still quite nice. The wood has taken over a bit in this one compared to the outstanding 8 yr (5 star). I have seen Barbancourt Rhums referred to as "The Cognac of rum"
Solid well-balanced spiced rum. Another quality product from Richard Seales, unfortunately only available if you happen to live in a state where Total Wine sells liquor. High octane choice for your mixed drinks. Pretty much rehash the earlier reviews. If you like the regular Gosling's in your mixed drinks but want some extra kick, use this. Solid though undistinguished cream liqueur Not as interesting as cream liqueurs such as Voyant Chai or Rumchata, but a pretty solid one and a step up from the likes of Bailey's. Good for what it is . Add high proof kick to drinks - check. Doesn't taste like gasoline - check. pretty much all you can hope for from a 151 proof white rum. Somewhat better than Malibu Decent enough for a cheap readily available coconut rum, a step above Malibu but below bacardi and not in the same league as Brinley's. 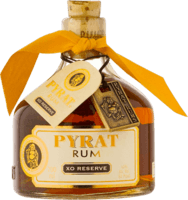 Decent for a light rum but has some rough edges. Adds interesting flavors to mixed drinks. Not bad for bacardi... at least until you hit the fake sacchariney aftertaste. For the very low price of around $12 you could do worse. Another ho-hum spiced rum. About what I expected from Bacardi. The best I can say is it's not actually unpleasant tasting like CM. Useable for capairinhas if nothing better is available. Gasoliney industrial cachaca, almost anything is better. Ypioca is about the same price and much better.